If you are like me and you want a good sandwich in our city where do you go? Please don’t tell me Subway, Fire House Subs, Jimmy Johns, Quiznos, or places in this arena ? Ok, we are all guilty of going to these sub places every now and then but seriously where is a great sandwich place the locals go to in Orlando? Let me tell you about one I know you will like and enjoy. Lets head to down to College Park in Orlando to Jax 5th Avenue Deli & Ale House. On the northern periphery of Edgewater Dr next to Edgewater High School sits the landmark named Jax serving up some of the best sandwiches in the city. This place is not new. It’s been in College Park for decades. That tells you real quick, Jax is doing something right. I always enjoy the start of my dining experience at Jax. 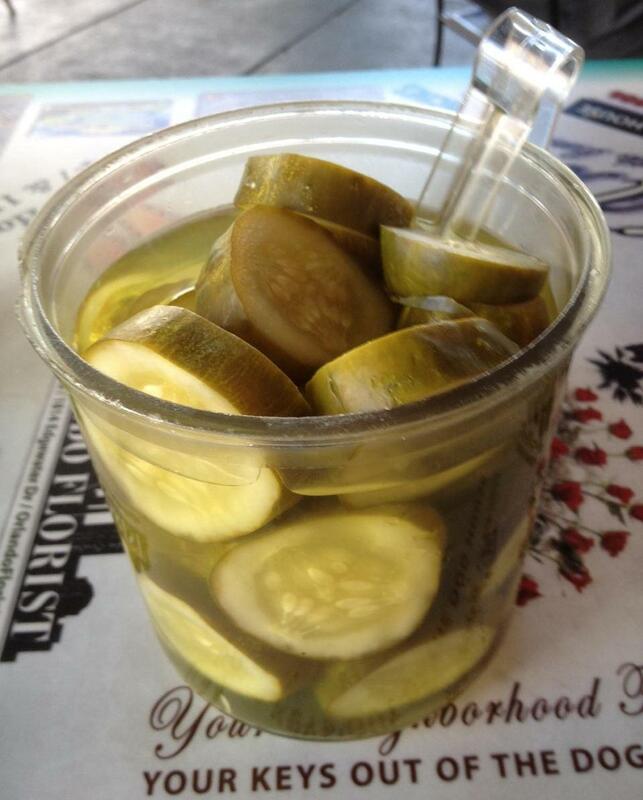 They bring out the most delicious freshest pickles in a jar you have ever eaten. Yes, they are that good, and yes they are free! Did I mention the pickles are free and very good! The stars of the show in my opinion are the sandwiches that Jax serves up. Each sandwich has its own twist and each has their own personality. Take for example the ‘Filly”Steak. 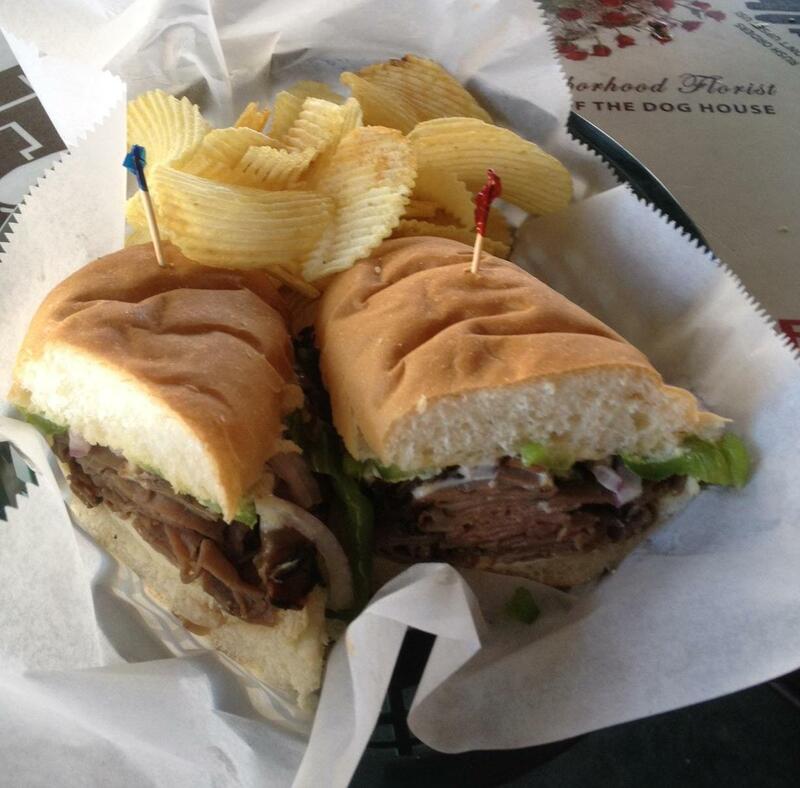 This sandwich comes with thinly sliced seasoned roast beef with green peppers, onions and cream cheese, served with horseradish sauce on a hoagie roll. Wow, what a sandwich. This sandwich does not disappoint. On another occasion I tried the Muffaletta sandwich. This New Orleans classic is not your traditional Muffaletta from Central Grocery in the French Quarter but it was good and tasty. The sandwich was prepared with ham, salami, provolone, olive relish, on a onion roll. You can’t go wrong with this sandwich. 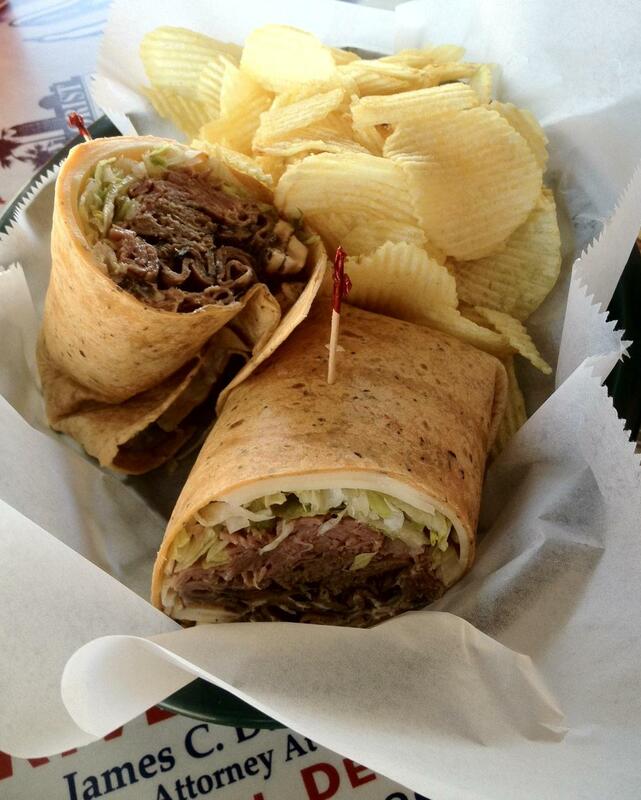 Another favorite sandwich or wrap I enjoyed at Jax was the Monster Roast Wrap. This sandwich/wrap has 6oz of roast beef with provolone, mushrooms, lettuce, tomato and ranch dressing. This wrap was big in size and full of flavors. Another hit. All sandwiches were priced reasonably in the $7-$10 range. Table service was good and attentive, even though I could not figure out totally who was the one actually taken care of us. Jax is also known for having one of the best beer selections in the city ,if you are into beer, they have a great line up. Parking is usually not a problem but have seen it tight at times. Jax has inside seating and outdoor seating. Jax is just a great local place to hang out with your date, your friends, family or even to watch sporting events. I am told the other Jax location in Lake Mary has been sold to a new owner but the original owner still has the original Jax in College Park. Great tasting pickles, great tasting sandwiches, great beer = Jax 5th Avenue & Deli & Ale House in College Park. Jax is open every day for lunch and closes at 2am every day. Jax 5th Avenue Deli & Ale House is located at 3400 Edgewater Dr, Orlando, Fl 32804. ph # 407-999-8934. No website found.